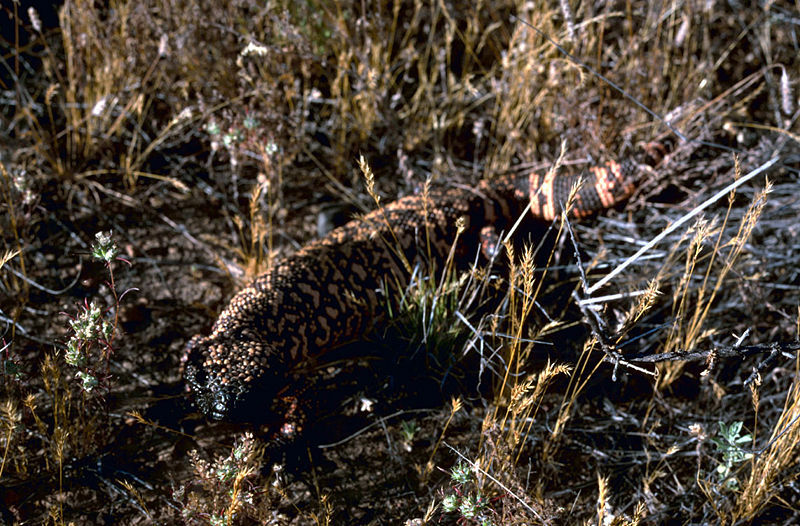 The Gila Monster is commonly found in deserts that have the ability to grow scattered cacti, shrubs, and grasses. 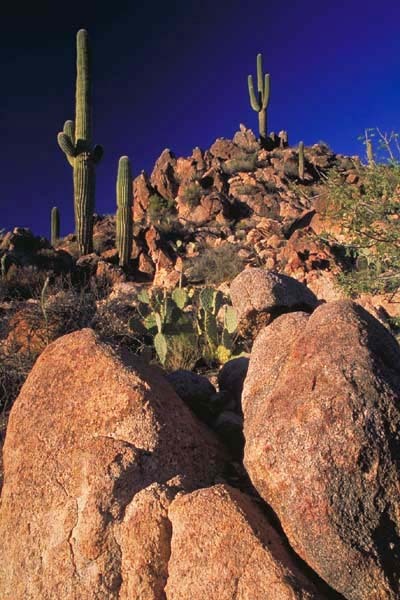 It is also found in areas with rocky slopes and canyon bottoms with streams. They interact in their housing areas called burrows with many different animals. These animals include snakes, turtles, and other lizards. Many times they sleep in the same burrows. It is rare to follow a Gila Monster and study their life habits. This is because they spend most of the year undercover away from the sun and predators. They are commonly found under rocks or in burrows. In fact, it spends 98 percent of its year hiding under shelter. The Gila Monster is usually only out when it is hungry, playing predator role in its niche.